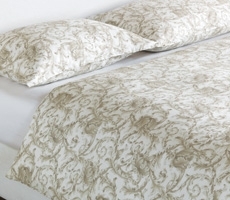 Nancy Koltes - Acanthus Cotton Sateen Duvet & Shams - Swatch Available. 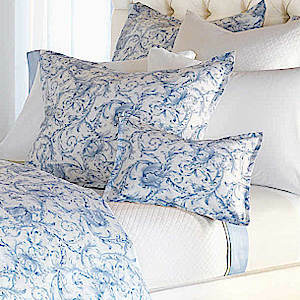 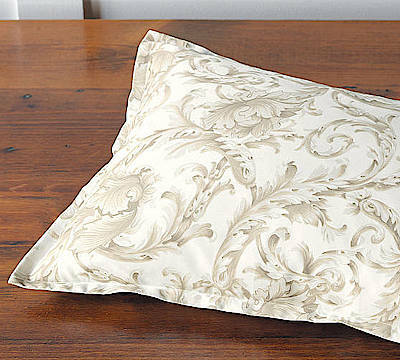 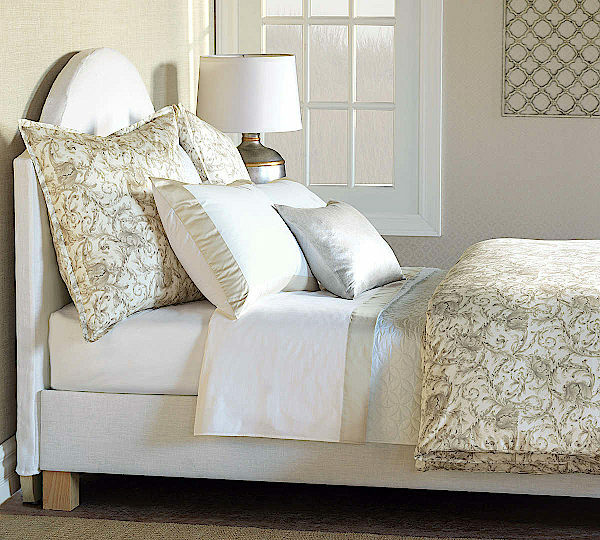 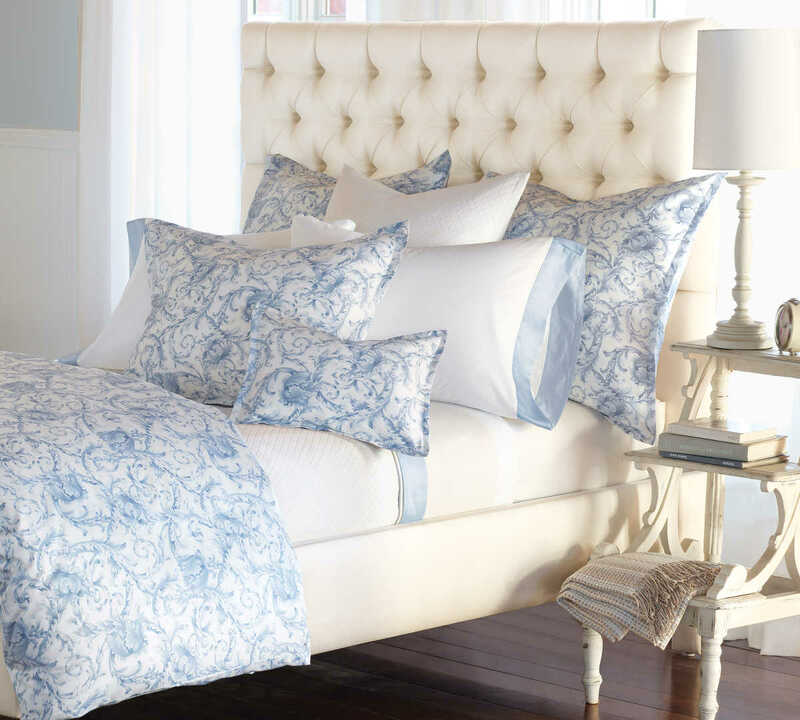 The majestic beauty of the Acanthus plant inspired the design of these luxurious duvet & shams by Nancy Koltes. 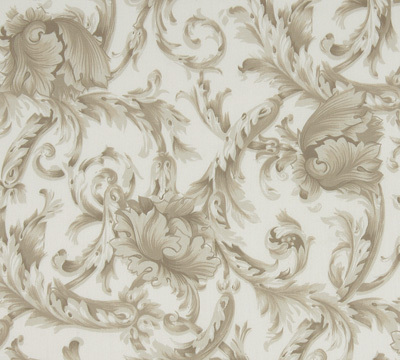 From modern times to the classic Italian fresco, centuries of artists have been influenced by the soft, spiraling leaves of the Acanthus plant. 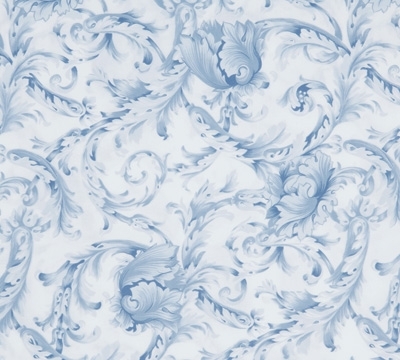 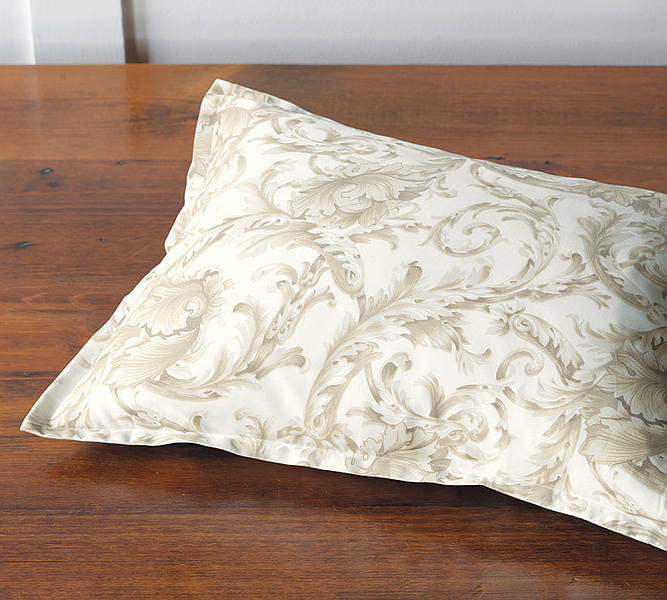 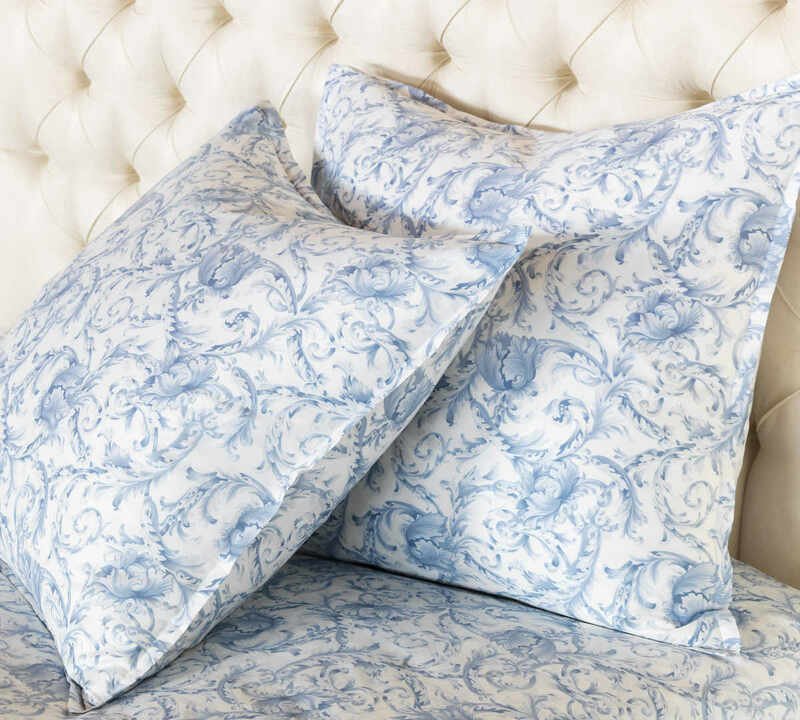 Like so many greats before it, the Acanthus collection brings this classic, romantic design to luxury linens. 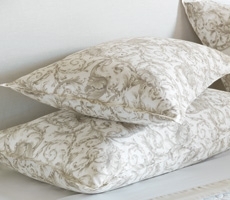 Printed on silky 300 thread count sateen, Acanthus is available as a duvet, shams, and luxurious yardage.